Combine bread crumbs, parmesan cheese, garlic salt and pepper and 1 tsp of the oregano in a bowl and set aside. Then, in a separate small bowl, mix together half of the butter, remaining oregano and parsley. 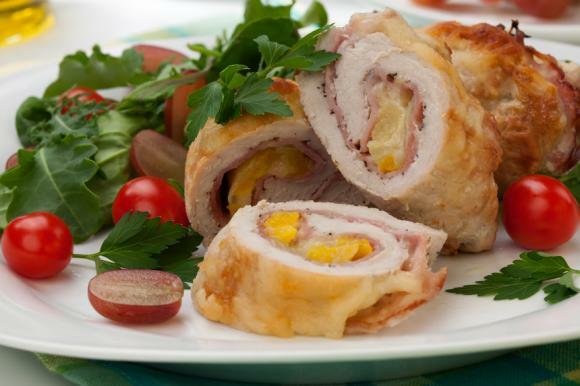 Slice partially into each chicken breast to create a pocket for the filling, pread some of the butter mixture across each piece of chicken and place some of the sliced cheddar cheese into the pocket. Then dip each breast into some melted butter then roll in the bread crumb mixture until coated evenly. 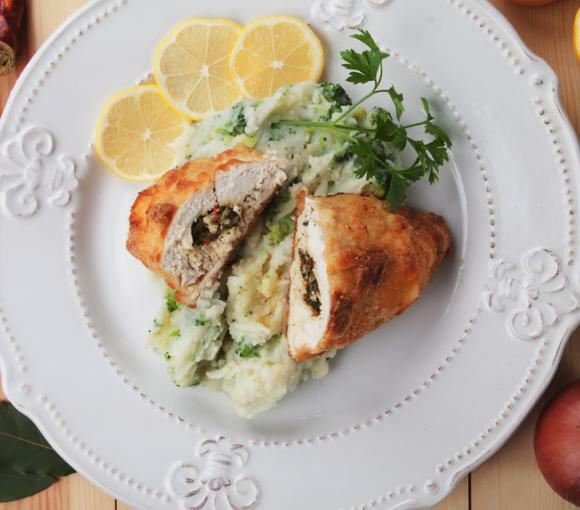 Place chicken kievs into an oven proof dish. 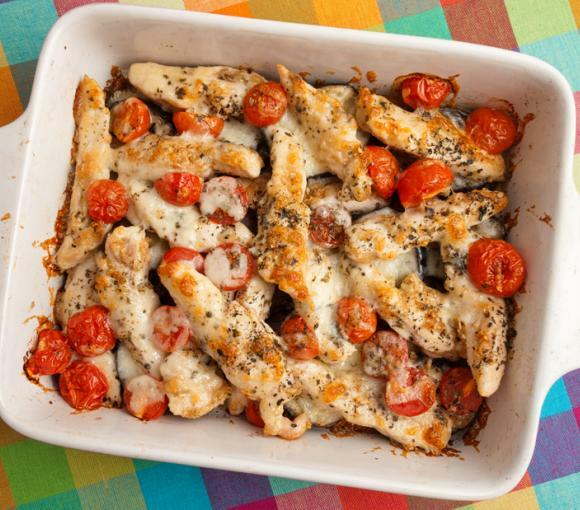 Bake uncovered along with the tomatoes in a 200 degree C (Gas mark 5) oven until chicken is cooked through, for about 30-35 minutes. A classic... but with a Mexican twist!